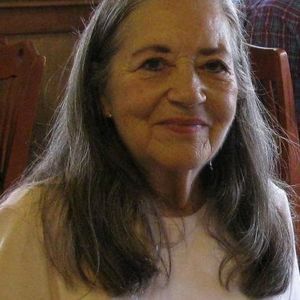 Ms. Lynitta Crouch, age 76, of Murray, Kentucky died on Friday, February 8, 2019 at the Murray-Calloway County Hospital. Ms. Crouch was born on August 30, 1942 in Murray, Kentucky to the late Theron Eugene Crouch and Hilda Bazzell Crouch. She received her B.A. from the University of Memphis and was an Administrative Assistant at the University of Memphis and later retired as an Administrative Assistant from Murray State University. She was of the Church of Christ faith. Survivors include one sister, Loretta Haley and husband Bob of Gallatin, Tennessee; two brothers, Jerry Crouch of Murray, Kentucky and Steve Crouch and wife Dana of Farmington, Kentucky; also surviving are three nieces, Cynthia Hemme, Angela Lewis, Bethany Williams, and five nephews, Jason Haley, R.D. Crouch, Heath Crouch, Justin Crouch and Derek Crouch. Graveside services will be held at 3:00 p.m. on Sunday, February 10, 2019 at the Coldwater Church of Christ Cemetery with Jason Haley and Justin Crouch officiating. Visitation will be held from 12:00 p.m. – 2:30 p.m. on Sunday, February 10, 2019 at the J.H. Churchill Funeral Home.